And the Winners Are! – It’s easy to overlook some of the things that make cruising wonderful. The Judi’s Choice Awards recognize the best of the rest. The Judi’s Choice Awards! 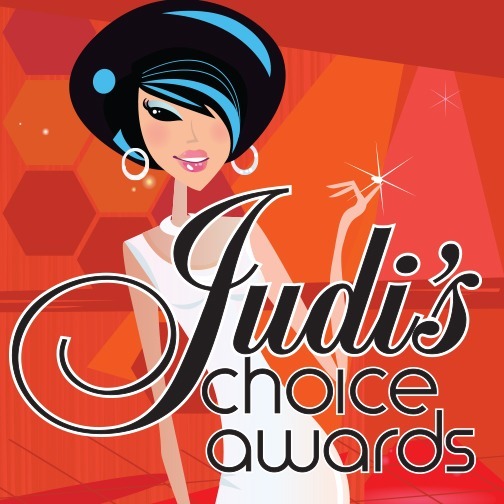 … The Judi’s Choice Awards! … The Judi’s Choice Awards! It’s easy to overlook some of the things that make cruising wonderful. The Judi’s Choice Awards recognize the best of the rest. It’s that time of the year again — when magazines and websites release their various travel awards, including, in case you missed them, Porthole Cruise Magazine’s annual Readers’ Choice Awards. For me, it’s also a time to look back on a year of cruising and recognize all those categories that traditional awards missed. So I present my second-annual Judi’s Choice Awards. Congratulations to all the winners and smooth sailing into the new year! BEST SHOWER WATER PRESSURE: SeaDream II’s Cabin 408! While the pressure was good under ordinary circumstances, when my travel companion switched the setting to massage without telling me, I nearly got a concussion. BEST KEY CARD HOLDER: Europa 2! Not the typical folding case but a single leather sheath with a slot on the front and back — perfect for a key card and a driver’s license or other ID. BEST ESCARGOT: Unlike the winning line’s dish itself, this one was tough … but when it comes to extraordinary escargot swimming in a pool of seasoned butter and garlic, my vote goes to Silversea Cruises. MOST EXHAUSTINGLY ENERGETIC HOTEL DIRECTOR: Jenny Lim. Now vice president of hotel operations at Star Cruises, we still salute Jenny, who, during her tenure aboard Norwegian Gem, could be spotted dishing up paella at the deck barbecue, joining the embarkation line dance at the gangway, organizing parties and games, schmoozing guests, and, presumably, handling paperwork. I think there were actually four of her. BIGGEST RISK-TAKER: Royal Caribbean International. Bumper cars and intoxicated people? Royal Caribbean somehow took this “can’t end well” concept and made it a success aboard Quantum of the Seas and Anthem of the Seas! Kudos to them! MOST PERSISTENT DIRECT-MAIL EFFORT: Regent Seven Seas Cruises. Not only do I receive brochures, postcards, and books from Regent almost daily, each one is absolutely beautiful. Where on earth were you guys when I worked in the printing business? BEST-TIMED THEME-CRUISE PROMO: Disney Cruise Line. Just as Star Wars: The Force Awakens was hitting a fevered pitch, Disney Cruise Line promotes eight special Disney Fantasy sailings that will include a Star Wars Day at Sea with EVERY Star Wars film screened, light-saber skills classes, characters, fireworks, and an epic deck party. MOST MIND-BLOWING ANNOUNCEMENT: Crystal Cruises, which, seemingly overnight, pulled riverboats, yachts, planes, and ships out of its you-know-where with an unprecedented global expansion plan. BEST CRUISE FOR AGING ROCK FANS: The 4-day Moody Blues Cruise III, February 26 aboard Norwegian Pearl, will sail from Miami to Key West and Great Stirrup Cay with some of your favorite classic rock bands, who may no longer look too great but sound as good as ever! Trust me. I’ve done it.